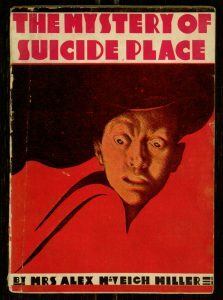 Our latest title to become available on the Distributed Proofreaders project for eventual inclusion in Project Gutenberg is The Mystery of Suicide Place, an 1895 novel by prolific story paper novelist Mrs. Alex. McVeigh Miller, author of The Bride of the Tomb (and countless other melodramas). The story was first serialized in The Fireside Companion under the longer title, Fly-Away Floy, the Saucy Little Darling; or, the Mystery of Suicide Place, but we are working with a later paper-covered reprint from the early 20th century. You can volunteer to help turn our scans of this long-forgotten work into a new electronic edition of the book — just read this earlier blog post to learn how the process works, then sign up at the project page! Our latest Project Gutenberg release, produced with the help of the Distributed Proofreaders project, is another romance by the prolific story paper author, Mrs. Alex. McVeigh Miller. Flower and Jewel packs a great deal into its first chapter, which details not only the birth of twin sisters but also a pair of tragic deaths. The story then jumps ahead seventeen years, to a time when the twins find themselves both falling in love with the same man. This being a Mrs. Miller novel, the sisterly conflict quickly escalates well beyond the bounds of reason. There are dark secrets, bouts of madness, twists of identity, and several attempted murders (including a bombing) before the plot is all wrapped up. The story also features several African American characters, who are for the most part represented with the typical broad stereotypes of the time. These portrayals do not make for comfortable reading, though they are not entirely negative, and they effectively highlight some of the contradictions, complexities and limitations of the period’s views on race. This novel was first serialized in the Fireside Companion from January 28, 1888 to April 7, 1888 and later reprinted in book form; now it is also available as a free electronic book that can be read online or downloaded in a variety of popular formats through Project Gutenberg. 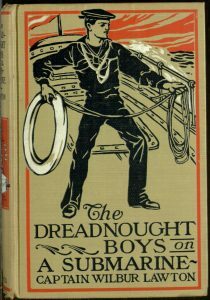 Our latest Project Gutenberg release, produced through the Distributed Proofreaders project, is another entry in the Dreadnought Boys series of naval adventures. In The Dreadnought Boys on a Submarine, series heroes Ned Strong and Herc Taylor are assigned to assist in government testing of a new experimental submarine. Of course, agents of a foreign power are on hand to complicate matters with a bit of sabotage! If you care to take a first-hand look, the full text of the adventure can be read online or downloaded through Project Gutenberg. 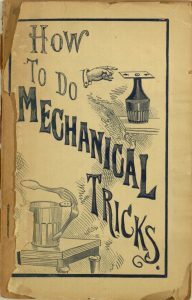 Our latest Project Gutenberg eBook release, produced with the help of the Distributed Proofreaders project, is another Ten Cent Hand Book published by Frank Tousey: How to Do Mechanical Tricks, published in 1902. Like most of the books in this inexpensive, paper-covered series, the content appears to have been gathered together from a variety of sources, often without regard to attribution or context. The collected instructions describe how to perform a variety of magic tricks and optical illusions, most relying on simple physics, mathematics, or commonly found household items. A lot has changed in the more-than-a-century that has passed since the publication of this book, and there are definitely some tricks here you really shouldn’t try at home (like simulating volcanoes using a chemical reaction involving lead paint or catapulting flaming matches); however, some of these demonstrations have proven timeless and can still be found in contemporary how-to books on illusions. The entire book, complete with many diagrams, can be downloaded or read online through Project Gutenberg. Enjoy with care! 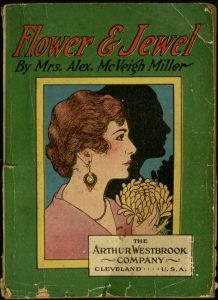 Our latest title to join the Distributed Proofreaders project for inclusion in Project Gutenberg is Flower & Jewel, another novel by prolific story paper novelist Mrs. Alex. McVeigh Miller, author of The Bride of the Tomb (and countless other melodramas). The story was first serialized in The Fireside Companion in 1888, but we are working with a later paper-covered reprint from the early 20th century. You can volunteer to help turn our scans of this long-forgotten work into a new electronic edition of the book — just read this earlier blog post to learn how the process works, then sign up at the project page! 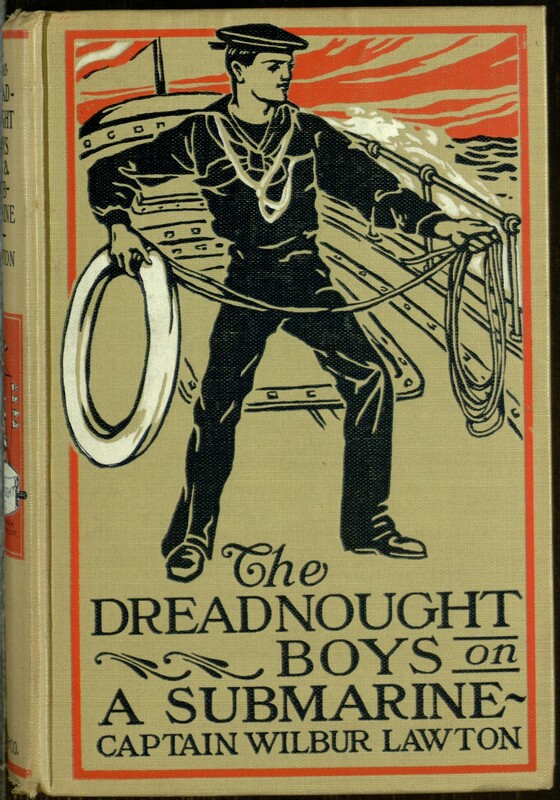 Our latest Distributed Proofreaders project is The Dreadnought Boys on a Submarine, the third in a six-book series of juvenile naval adventures, following The Dreadnought Boys on Battle Practice and The Dreadnought Boys Aboard a Destroyer. If you are interested in helping to turn this long out-of-print novel into a free eBook, you can read this earlier blog post to learn about the process, then join in the fun at the project page. 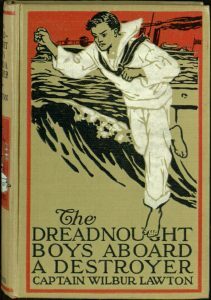 Our latest title to be added to Project Gutenberg thanks to help from Distributed Proofreaders is The Dreadnought Boys Aboard a Destroyer, the second book in a six-volume juvenile series about the adventures of Ned Strong and Herc Taylor, two young men serving in the United States Navy shortly before the first World War. In this volume, Ned and Herc are assigned to the Beale, a destroyer-class vessel traveling to the fictional South American country of Costaveza, where a revolution against the U.S.-friendly government is underway. Although they are meant to remain neutral in the conflict, the boys are inevitably drawn into the conflict, which turns surprisingly deadly for a children’s book. As with the rest of the series, this book is far from an exercise in subtlety; the good guys are very good and the bad guys are very bad, and some familiar melodramatic plot devices make their appearances along the way. Perhaps unsurprisingly for its time period, the book seems to go out of its way to label and stereotype its South American characters, whether they are heroes or villains. The most distinctive feature of this book is the way it portrays the politics of United States involvement in South American affairs; as with the rest of the book, this is not handled with any nuance, but it shows a mainstream portrayal of a topic that one might not expect to see in the popular culture of the time. The full text of the book can be found at Project Gutenberg, where it may be read online or downloaded in popular eBook formats. 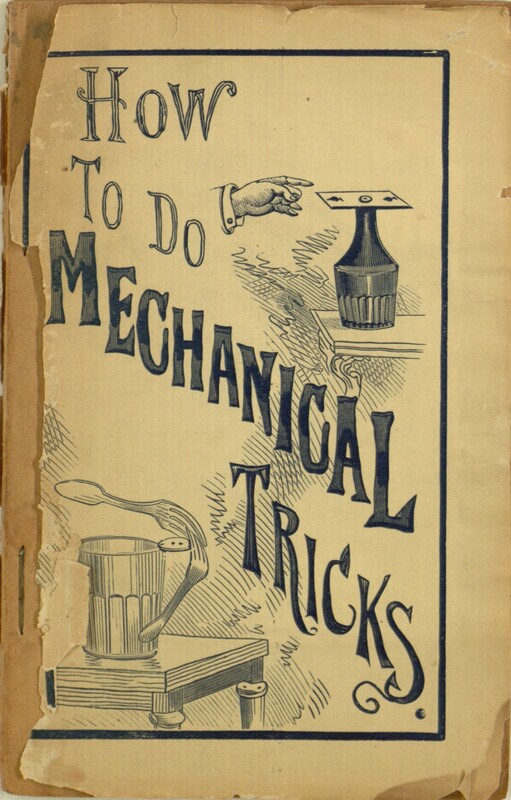 Our latest Distributed Proofreaders project is another volume from dime novel publisher Frank Tousey‘s Ten Cent Hand Book series: How to Do Mechanical Tricks. As the subtitle puts it, this small volume contains “complete instruction for performing over sixty ingenious mechanical tricks.” Containing many illustrations, this book provided quite a few ideas for the amateur magician. To help create an electronic edition of this text (and perhaps learn a few new tricks from 1902 in the process), you can learn more about the proofreading process from this earlier blog post, then join in the work at the project page. 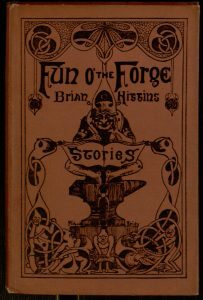 Our latest Project Gutenberg release, produced with the help of Distributed Proofreaders, comes from our Joseph McGarrity Collection of materials dealing with Ireland: Fun o’ the Forge, by Brian O’Higgins. Most of the stories in the collection are the author’s own, but three describe themselves as adaptations from An Seabhac‘s 1913 collection, An Baile Seo ‘Gainn-ne. The book is a collection of short, humorous stories about Irish country life, most revolving around misunderstandings and clever tricks. 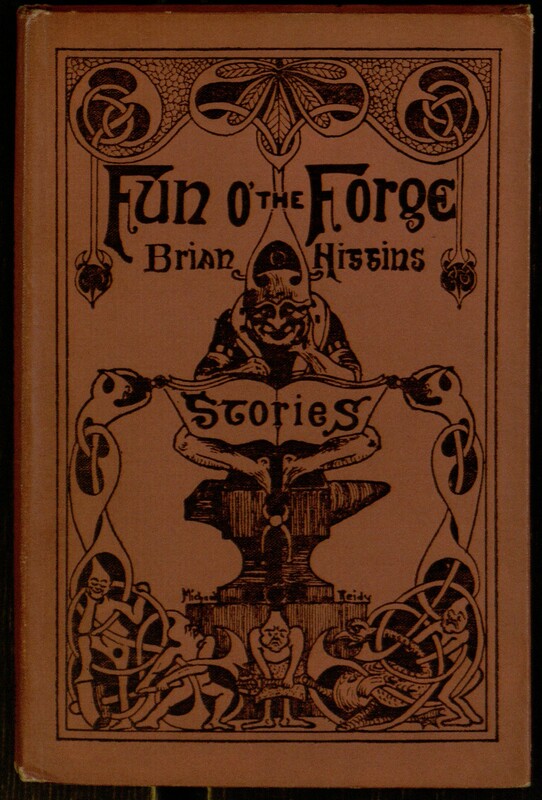 The forge of the book’s title belongs to Ned M’Grane, a blacksmith who loves to tell stories and longs for better times. The stories are connected together by common characters, and most are told by Ned to the narrator and his friends. While on the surface this is a calm narrative about a simpler time, there is an undercurrent of anger, and it is easy to see how the text relates to its author’s politics. The entire book may now be read online (or downloaded in a variety of convenient eBook formats) through Project Gutenberg. Our latest Distributed Proofreaders project is The Dreadnought Boys Aboard a Destroyer, the sequel to juvenile naval adventure, The Dreadnought Boys on Battle Practice and the second volume in a six-book series.